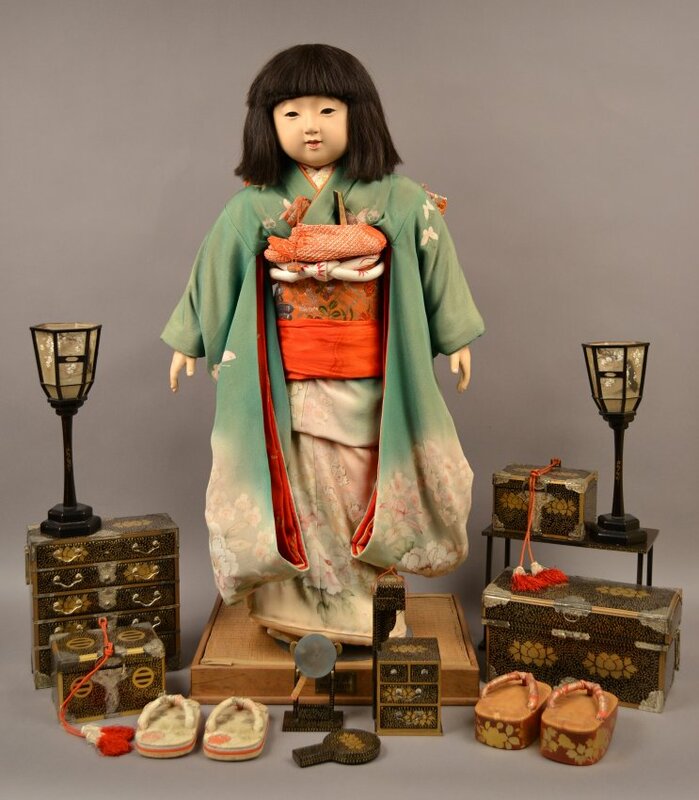 This mirror, case, and stand set are Miss Kyoto doll accessories. The set includes five pieces featuring a black lacquer background painted with a gold leaf and floral design. 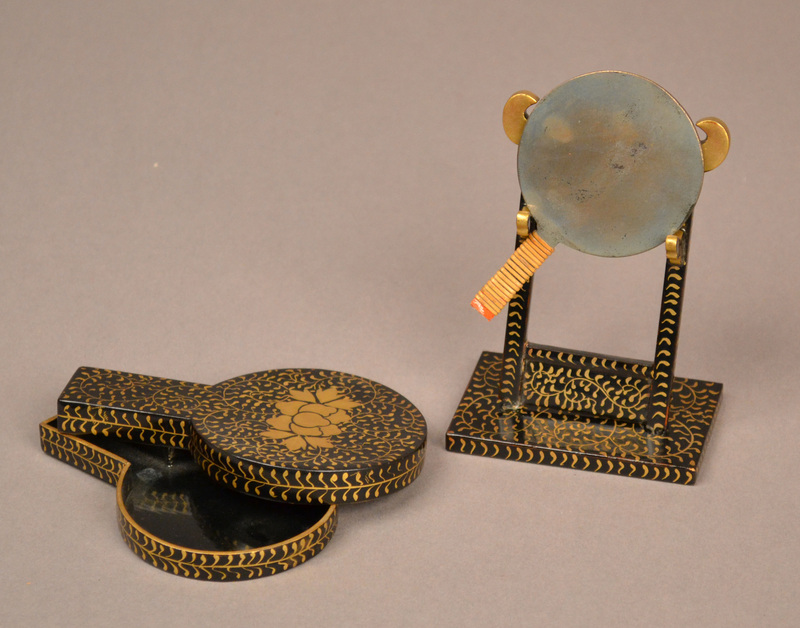 The mirror is made of metal (possibly bronze), with a bamboo-wrapped handle. The other pieces include a box with a lid for the mirror and a two-piece display stand comprised of a solid base with two posts and two upright bars.